Tag Archive | "Race of Champions"
The 25th Race of Champions (ROC) is set to take place this weekend from the 15th to the 16th of December. The Race of Champions this year takes place at the Rajamangala Soccer Stadium in Bangkok, Thailand. The Race of Champions has been running since 1988 and features drivers from varuious motorsport events competing head-to-head in identical cars on parallel tracks. The ROC pits motorsports’ racing elite from various disciplines, including Formula One, World Rally Championship, MotoGP, Touring Cars, IndyCar and Le Mans. The two-day race consists of the ROC Nations Cup which kicks off the event on the 15th of December and the Individual Race of Champions which take place on the 16th of december. The ROC Nations Cup decides tha fastes country on earth and has been a feature since 1999, in this race drivers team up with fellow countrymen in pairs. 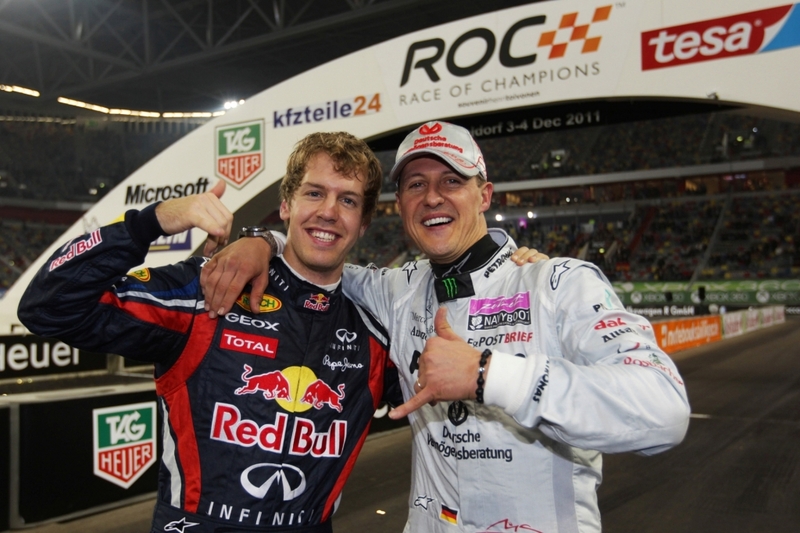 The 2011 winners were the team of Michael Schumacher and Sebastian Vettel, the formidable pair which had already seen them take 4 consecutive titles in previous years. In 2012, the pair hope to make it a sixth. Cars used in this years ROC include the Audi R8 LMS, VW Scirocco, Lamborghini Gallardo Super Trofeo, Toyota GT86, ROC Car, KTM X-Bow, and Euro Racecar.